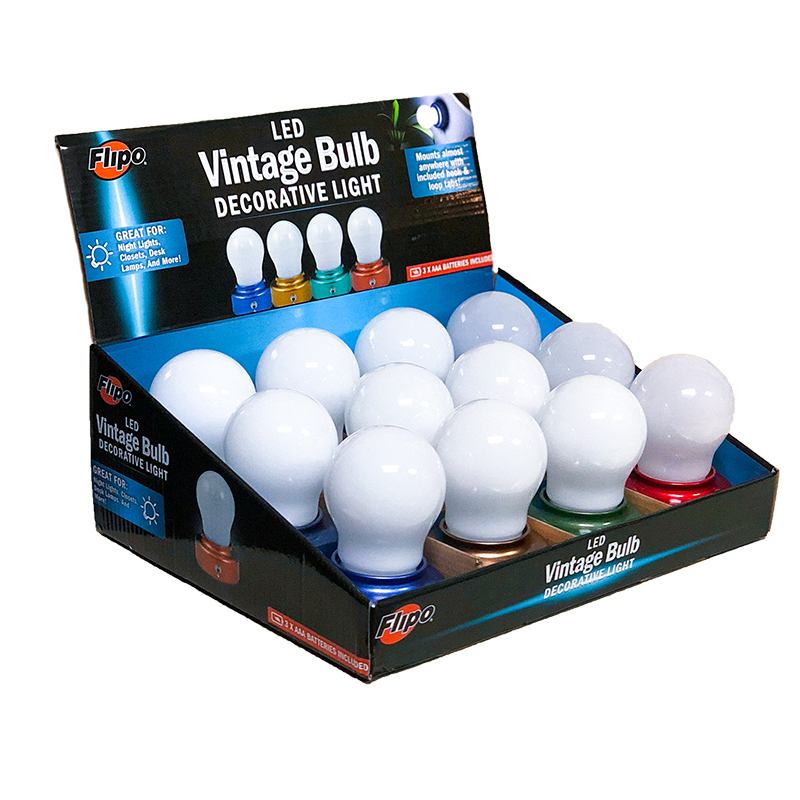 The NEW LED Vintage Bulb from Flipo is the perfect multi-purpose light for bedrooms, closets, desks and more! 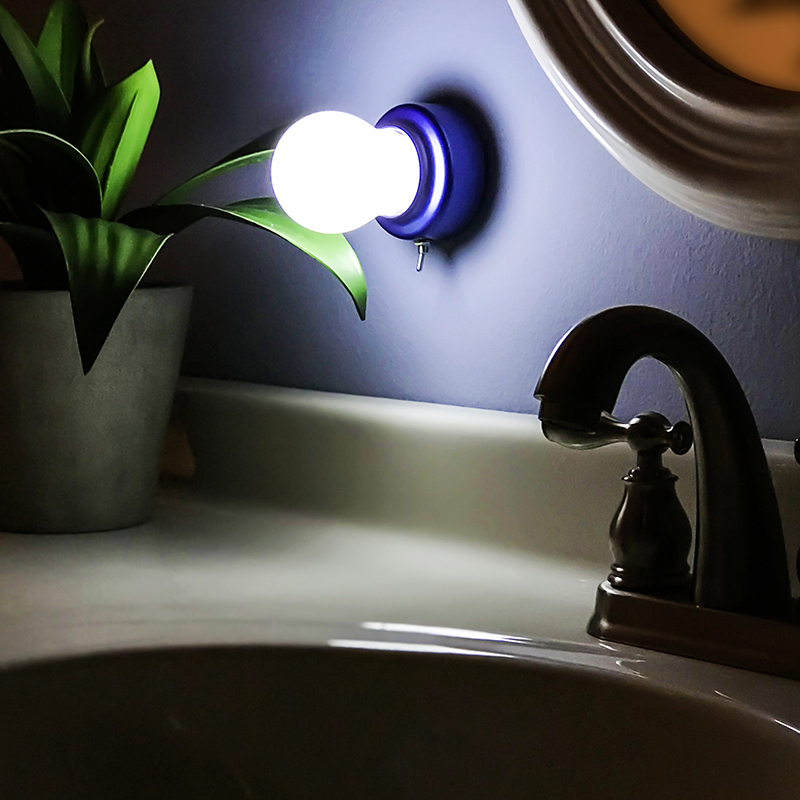 Easily mount the decorative light almost anywhere with included hook & loop tabs. 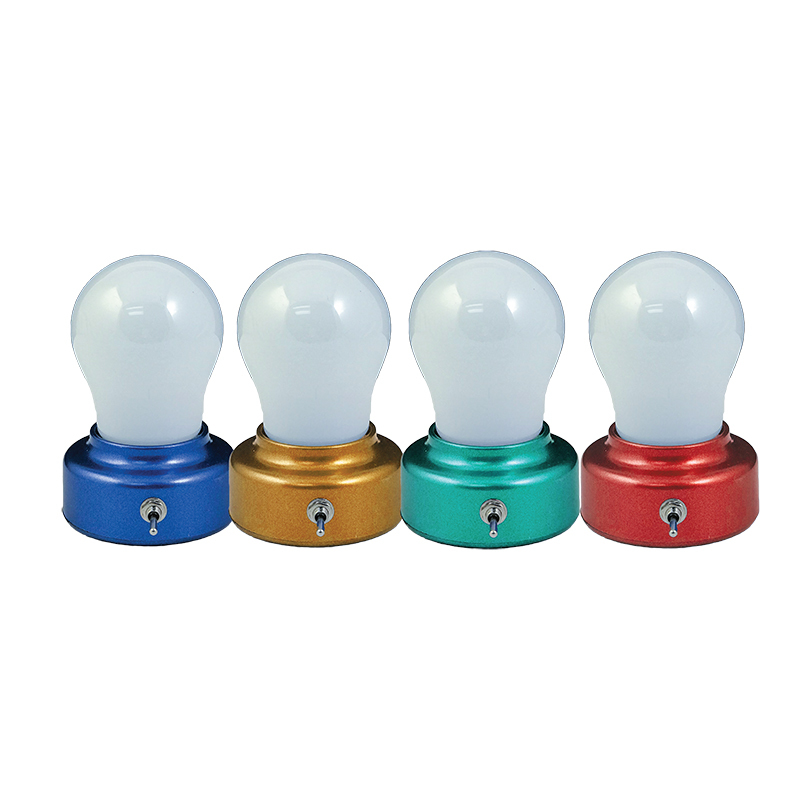 The LED Vintage Bulbs are available in blue, gold, green and red. PDQ Display includes 12 Vintage Bulbs. Includes hook & loop tabs for mounting decorative light. 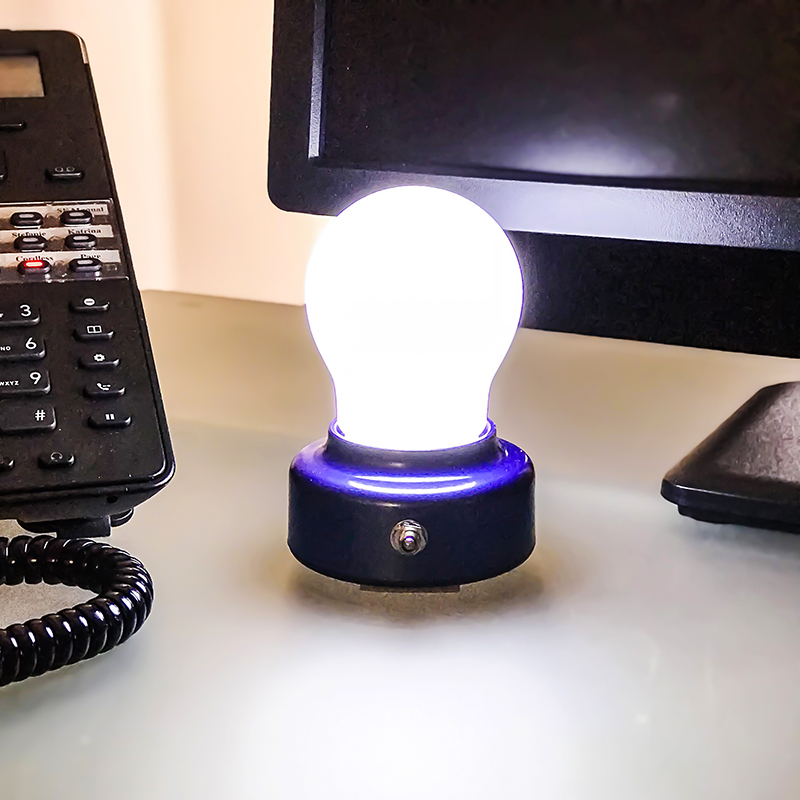 Individual light measures approximately 4" high from bottom of base to top of bulb and 2.75" in diameter. Display Dimensions: (L)12" x (W)9.5"(H) x 4"